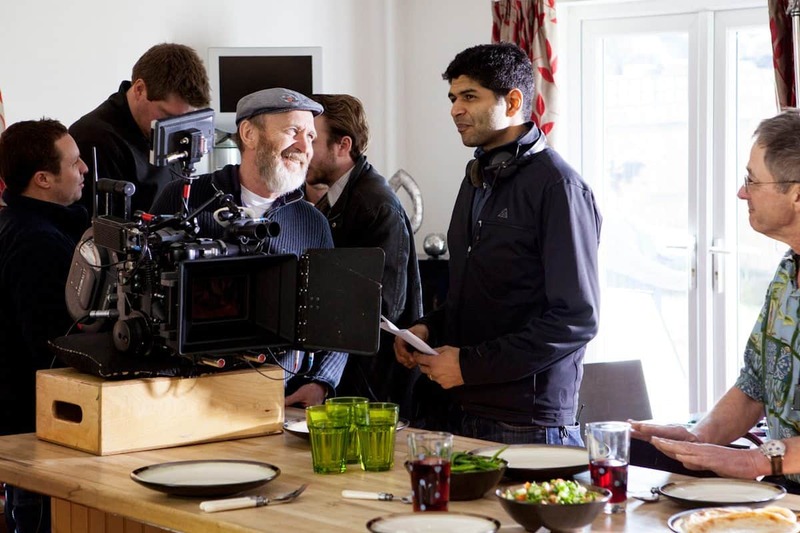 It was a sunny morning in June, when Ron Prince caught up with Roger Pratt BSC, at the Groucho Club, to discover more about the cinematographer’s work on Amit Gupta’s family comedy Jadoo. Pratt, who was sporting a bright yellow lapel badge with the words “Film Forever”, has been the director of photography for more than 35 films. 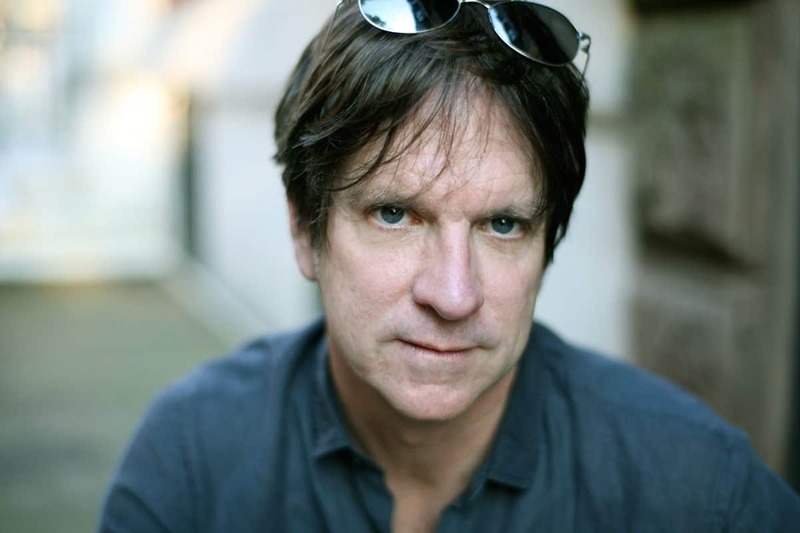 Among his credits are Batman (1989), Frankenstein (1994), Chocolat (2000), Harry Potter And The Chamber Of Secrets (2002), Troy (2004), Harry Potter And The Goblet Of Fire (2005), and The Karate Kid (2010). He is also a frequent collaborator with Terry Gilliam, and worked with him on Brazil (1985), The Fisher King (1991) and 12 Monkeys (1995). Pratt was Oscar and BAFTA-nominated for his work on Neil Jordan’s The End OF The Affair (1999) and BAFTA-nominated for Chocolat. Jadoo is Pratt’s first collaboration with writer/director Gupta, who is regarded as a rising star in the theatrical and filmmaking communities. His first play, Touch, was a winner of the Royal Court Young Writers’ Competition, and through his work as writer-in-residence at the Leicester Haymarket Theatre was profiled as one of Screen International’s writer/director “Stars of Tomorrow”. He most recent play Campaign, was part of the epic Great Game at the Tricycle Theatre, received rave reviews and was nominated for a 2010 Olivier Award. 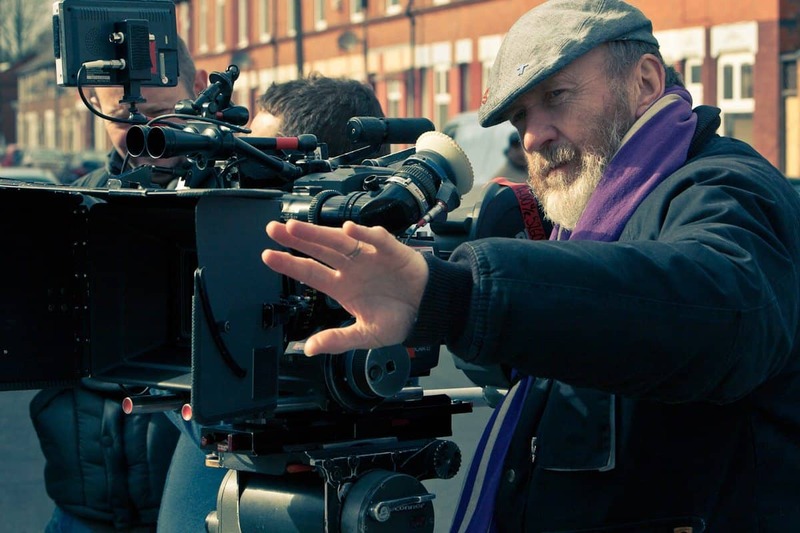 He directed the screen drama Loveless for Channel 4. 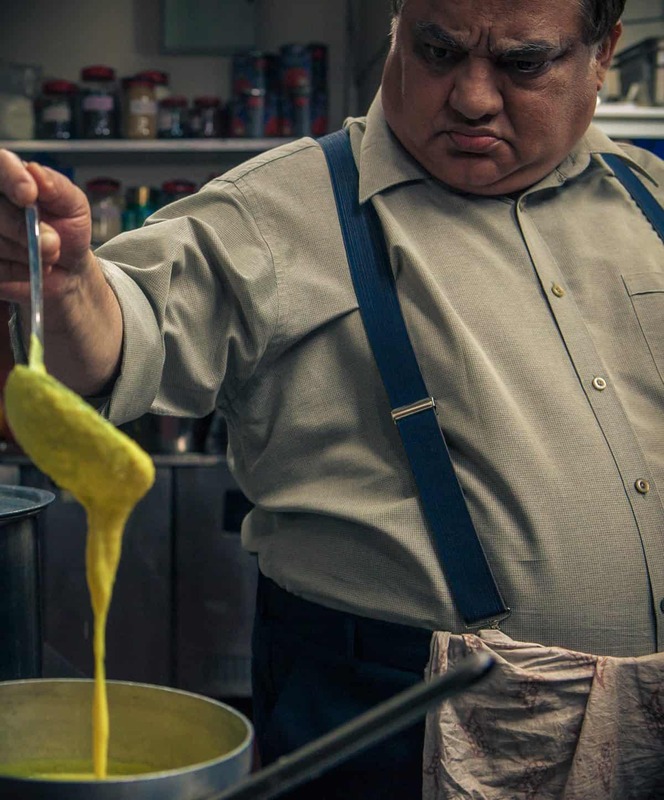 In his screenplay for Jadoo, two brothers (Harish Patel and Kulvinder Ghir) both wonderful chefs, fall out catastrophically. At the climax of their dispute they rip the family recipe book in half – one brother gets the starters and the other gets the main courses. They set up rival restaurants, on opposite sides of the same road, and spend the next twenty years trying to outdo each other. 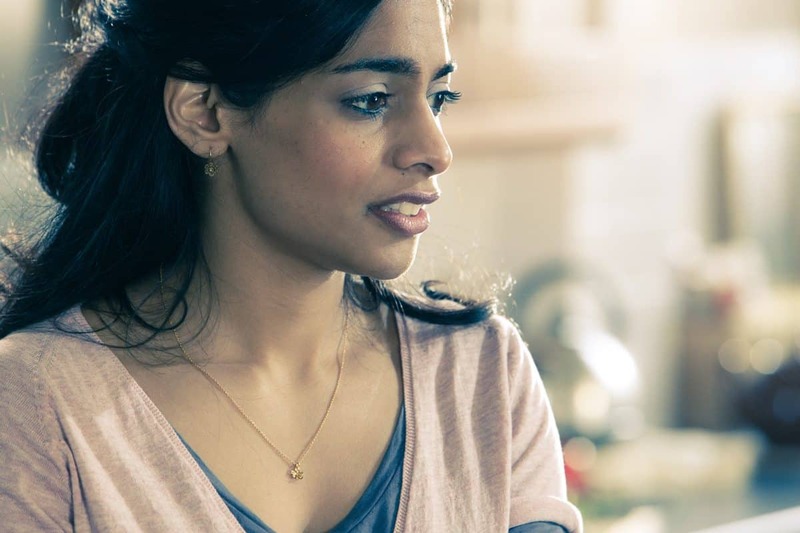 The daughter (Amara Karan) of one of the brothers arrives home on a mission to reunite them so that they can both cook at her wedding. How did you get involved with the production of Jadoo? Hugh Whittaker at Panavision called my son Tim Phillips, who’s a producer, and told him about the project and asked if I would be interested. I was delighted, and Amit then invited me to talk about the film. Anyone who’s ever met Amit will tell you what a nice man he is, very easy to get on with, and very clever and astute too. He had a definite take on this project, and I knew I would be in good hands. I discovered that we went to the same school Loughborough Grammar, so I just had to say yes. What appealed to you about Jadoo? It’s a story about my hometown, Leicester, and the social developments there. Leicester has a history as a successful and wealthy manufacturing town. It attracted a huge Asian community with many talented people, and has been further enriched because of that. That was interesting to me, as it was not like that when I was growing up there. I liked the plot too, about the brothers’ rivalry and reconciliation, on either side of the Golden Mile, which is a more recent development. Did you look at any creative references? No. That’s not really what I do. I went to Leicester and The Golden Mile, to re-familiarise myself with the city, to take in all these shops competing with each other, to get the spirit of the place, and get inside Amit’s treatment. I had not been back to Leicester for 25 years. It was almost unrecognizable, yet fascinating, to me. I tried to find the house I used to live in. The church where my father was the vicar is now a block of flats. When you first discussed the look of Jadoo with Amit Gupta, how did you envisage the film? As far as the overall look is concerned, I’d call it organic. We wanted to capture contemporary Britain. By the nature of the story, there was a lot of colour involved. For example, we recreated a Holi Festival, the festival of colour, in a local park, where the participants throw powdered paint at one another. The challenge here, typifies much of the challenge throughout the film, which was to not let the images get over-saturated. Along with early grading test, it also helped that I had a good creative relationship with the production designer, Adrian Smith, who was thorough and very sensitive to the colour palette in the film. There’s always the question of how square or oblong the image ought to be, and audiences are comfortable with a slightly-wider-than-high format. It is pretty much expected that you don’t shoot Academy 1.375:1 anymore, and we decided against Anamorphic. Taking in the nature of the film, the need to capture characters, and the tight locations we’d be shooting in, we went for Super35mm 2.35:1. How much time did you have for prep/pre-production? And what was the working schedule? In total, I had four weeks in prep and pre-production on Jadoo. The principal photography was 30 days, and we worked 6-day weeks. As it was a comedy, and things can work against you in terms of the schedule, I spent time during pre-production with Amit and Rob Hart (camera operator) on recce’s, storyboarding and shot listing, in order that we knew exactly what we wanted before we started turning over. During production, we went through the shot list every morning. It was pretty efficient, and there were no overruns. We’ve done some pick ups since, but not many. As we had a restricted budget, Kodak gave us a great deal on Vision2 5260 500ASA stock. Although it’s a fast stock I knew I could filter where necessary with an 85ND, and I’m very happy with the results. When you shoot with a stock that’s not fine grain, you can run into problems, especially if you take a photochemical route through post production. But the grain reduction tools they use in post are excellent, and you’d never know it was shot on a fast stock. In terms of cameras, we went with one ARRI LT from Panavision, who gave us lots of help with the camera gear, and ARRI supplied us with a very generous lighting package. How did it affect you shooting with just one camera? In a way having one camera is the best. It’s almost like old-fashioned filmmaking. 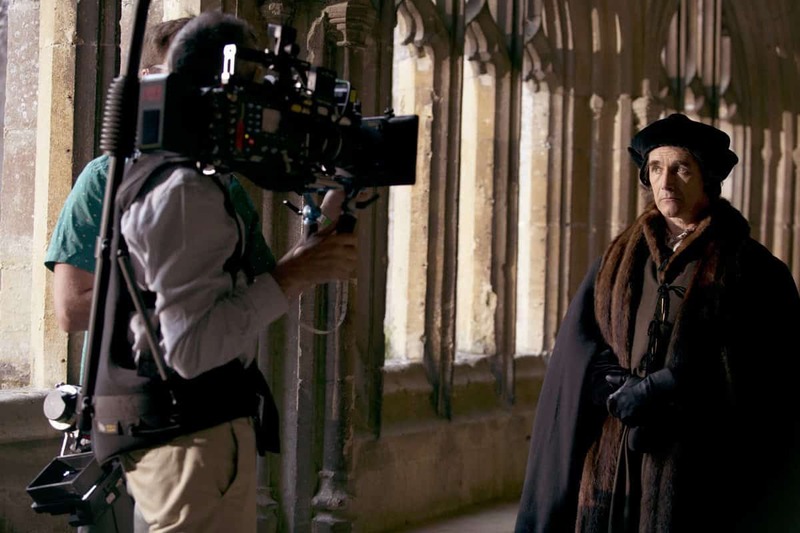 With multi-camera shoots you’re never quite sure of the geometry of the scene, and which is the main camera. I don’t discredit multi-camera shoots at all, and with good editing it can work out really well. But, when you shoot with one camera, everything you do – the angles, shooting the cut-aways – must be focused on the geometry of the scene. You’re reducing a 3D world to a 2D world, and you have to very careful not to confuse the audience. In dialogue scenes, with several characters, you want to capture the emotions from the actor’s faces and want the audience to empathise, and shooting with one camera keeps you concentrating. "You have to be very careful about moving the camera. The means of capturing the image mustn’t take away from the action. I don’t go for handheld for the sake of it, as the inherent wobbliness can intrude." Most of them are mates, and all are very good technicians. Quite a few of them either live next door to me, or nearby, in Crouch End, in London, and they helped to create a great atmosphere on set. Rob Hart was our camera and Steadicam operator, Sam Renton was the focus puller, Tommy Holman did the loading, and we had a trainee in the form or Harry Campbell. My gaffer was Tommy Finch, Chuck’s brother. Tommy and I worked and lived together for five months in China on The Karate Kid. We went through a lot of shared experiences, and I found him very easy to get on with at the time. This could have been difficult, but Tommy is wonderful. It may sound trite, but I moved the camera as appropriate for the scene. You have to be very careful about moving the camera. The means of capturing the image mustn’t take away from the action. I don’t go for handheld for the sake of it, as the inherent wobbliness can intrude. A zoom is like pointing, and it’s rude to point. So, we shot mainly on a dolly, or Steadicam, to give us smoother, more gentle moves. Sometimes we were aided by the sets. For example, we shot in a hospital, where there are smooth floors and this gave me the opportunity to introduce some lovely tracking shots. Obviously, a person in a hospital bed does not give you a major opportunity for camera moves, but even then you can create subtle, imperceptible, moves on a character or a face. What was your approach to the lighting? In a comedy like this it’s the characters, their faces and relationships that are important, so I lit for that. I mainly used soft-lighting through tracer frames and bounced fill. China balls on a pole are always a really helpful filler, especially on tracking and Steadicam shots. When we needed significant blasts of light, such as in the hospital scene where the bed was beside the window, I used an 18K HMIs on a tall scaffold outside to pump light through the window. We shot mostly on location in Leicester with a healthy mix of exteriors and interiors. We used one existing restaurant, but we also built an interior of one of the restaurants in a warehouse just off The Golden Mile. Shooting on practical locations can be hard, as the locations can be quite tight and cramped. You’re constantly asking for things to be moved or removed, and some places have low ceilings to contend with. It can be a nightmare, and that’s when you value having a really good gaffer. How big a part does the food play? It’s pivotal. The food had to look as good as it tasted, and someone very kindly said the footage we shot has a glow reminiscent of Chocolat. We shot lots of scenes in the kitchens, and although they were small rooms, there were massive stainless steel tops in the central preparation area, which helped make the framing photogenic. I used some techniques that I use in commercials, such as always shooting plates of food with a tracing frame as close a possible, but out of shot, with a poly in front. It was quite hard shooting some of the cooking pots, as these were kept against the wall, but overall I’m very pleased with these sequences. Did you eat a lot of curry? Yes, I really like curry. It’s hard to describe it, but the curry in Leicester is less English and spicy, and more Indian and tasty. Amit’s mum owns a restaurant on the Golden Mile, and she cooked some wonderful meals for us during the shoot. Getting enough sleep. To make sure the food looked good, and also to make sure I was shooting the skin tones correctly. When you’re shooting non-white actors you have to adapt your technique slightly, to carefully control the key light, and the lighting in the shadow, otherwise you risk making them look white. How did you work with Amit? I have to say this was a fantastically happy shoot, with a warm family feeling that started with Amit. Some directors feel controversy brings out the best in you, but I don’t believe that, and Amit was far from that. The best director is one who knows what they want, but not does not want you to tell them how to get it, in terms of the look. As a cinematographer, you can do anything, but you want it to be their film. Some directors are completely conversant with cinematography, and could or should do it themselves. Others rely on you completely. Amit is in the middle ground, where he knew what he wanted, but allowed me to get on with it. He took on my technical requirements and balanced these with his creative aesthetic. It’s quite a tightrope, but he did it expertly. A sunset. We only had one afternoon to shoot a sunset for the film. We were on a rooftop, and were shooting just as the sun was going down. The sky turned the most amazing shade of green, a stunning colour that I have never seen before. I had a 300-600mm lens on the camera and it will fill the screen in the cinema. Where are you doing the DI? We’re going to do a 2K DI at Technicolor, in Soho, with Paul of the Ensby dynasty. Yes. I have shot using digital cameras on music videos and commercials, and they’re good for those jobs. But film is the best medium you can use, especially on features. We all know that film is going to disappear sooner or later, but the more we can prolong its life the better. 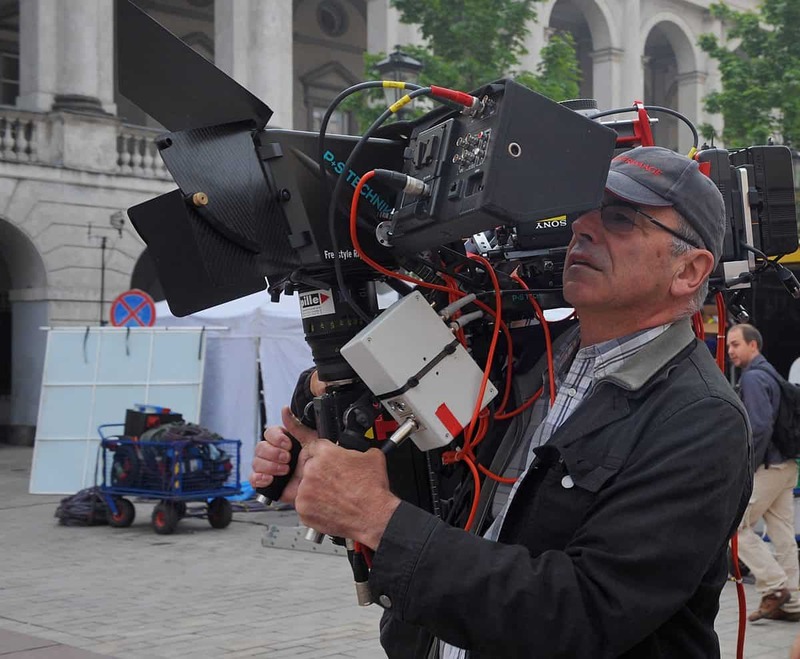 I would exhort cinematographers to keep on asking for it at the very start of working on a production. Tell us about your visit to Cooke Lenses? What a place! They have lens manufacture down to a fine art, and make the best lenses in the world. As their factory is about five miles out of Leicester city centre, we asked them for a tour. Robert Howard, the CEO, showed us around. He is very knowledgeable, and seemed to know the minutiae of different purchase orders they were fulfilling. It was fantastic to see how they take a roughly shaped piece of glass and hone it to micro tolerances, and to learn about the mechanics and movements that go into a prime or a zoom lens. Sheer excellence, and home-produced.